Trent Valley Honda is a progressive, family-run dealership, serving a community of approximately 100,000 people. Peterborough is a university and college town, serves a large base of retired demographic and is an amazing place to raise a family close to cottage country! We’ve supported the community since 1975 and have a very loyal client & employee base. We offer a competitive compensation package, an incredible work environment and opportunity for advancement; we also provide equal opportunities for all applicants and are committed to fostering an inclusive, accessible environment, where all candidates feel valued, respected and supported throughout the recruitment process. We thank all candidates for applying, however, only qualified applicants will be contacted. Check us out on social media: Instagram, Twitter and FB. Where needed, accommodations for disabilities will be provided, on request, to support participation in all aspects of the recruitment process. Please note that in applying for a position with us, applicants will be disclosing Personal Information about themselves and consent to the collection, use, disclosure, storage, transfer and/or processing by us of this Personal Information for all purposes related or incidental to your employment application and our recruitment process. 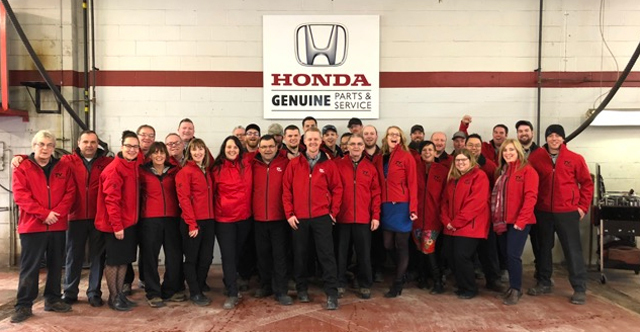 We are always looking for good people to join the Trent Valley Honda team. Please contact us for the latest job opportunities.